In order to succeed in today’s fast-paced environment with ever-changing business conditions, new technology trends and constant internal adjustments to cope with these changes, it has become increasingly clear that traditional improvement approaches alone cannot deliver the desired business outcomes in a repeatable and sustainable fashion. A broader and overarching management discipline is required to direct, align and govern process improvement initiatives across an organization to ensure the long-term success of such initiatives. 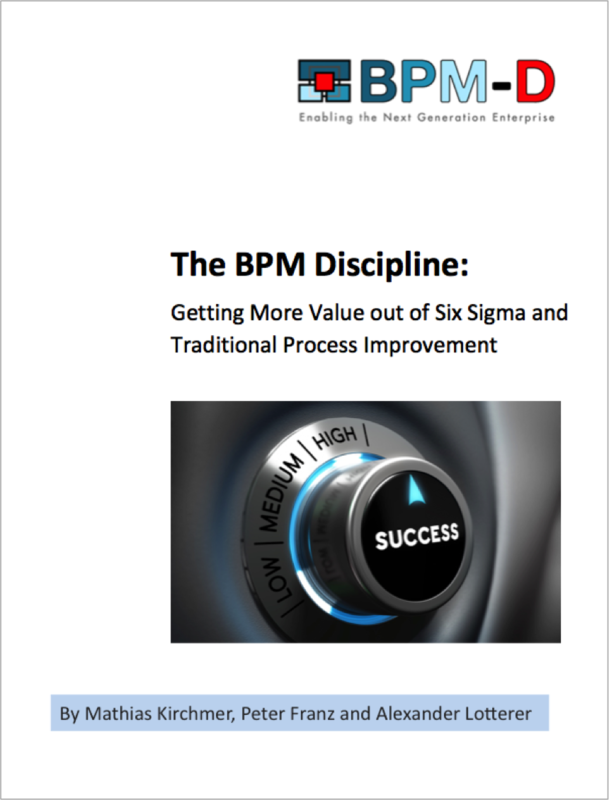 More and more organizations establish outcome-driven Business Process Management (BPM) capabilities to develop this new management discipline, which allows them to address today’s challenges more quickly and alleviate the shortcomings of traditional process improvement approaches. This new management discipline, which we call the “Discipline of Value-driven Business Process Management”, is built around outcome-orientation, customer-focus and a structured value-driven design of business processes realizing the business strategy of an organization. Many thanks for your interest in the BPM-D Paper. Please fill in your details below and we will email the document to you immediately.